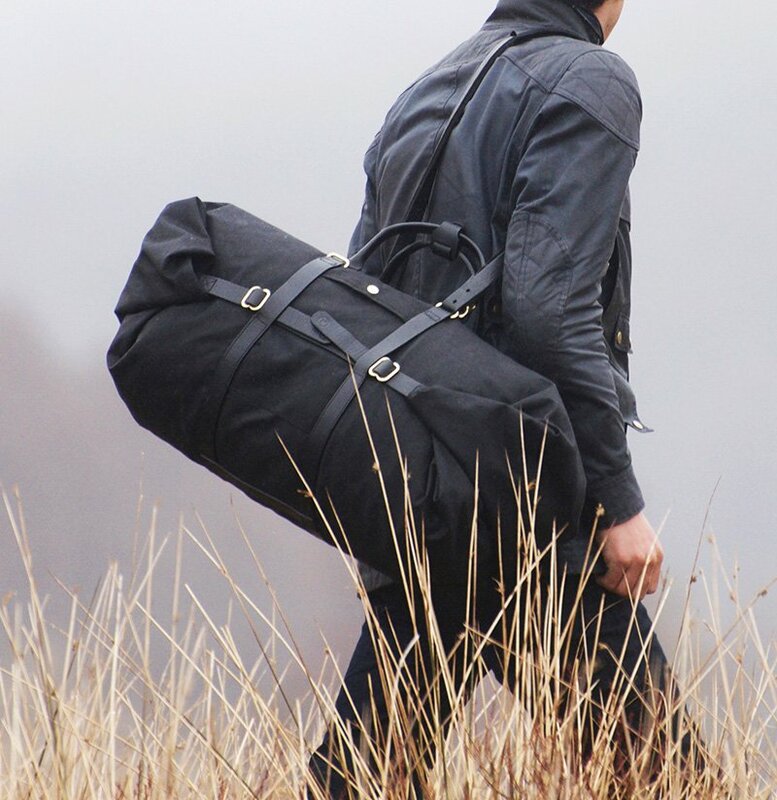 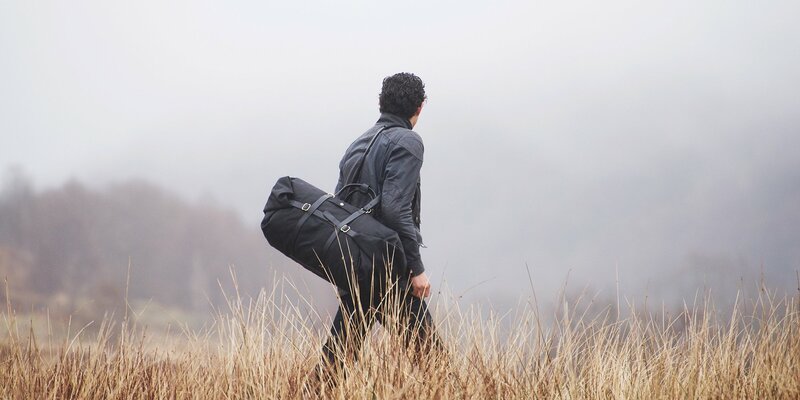 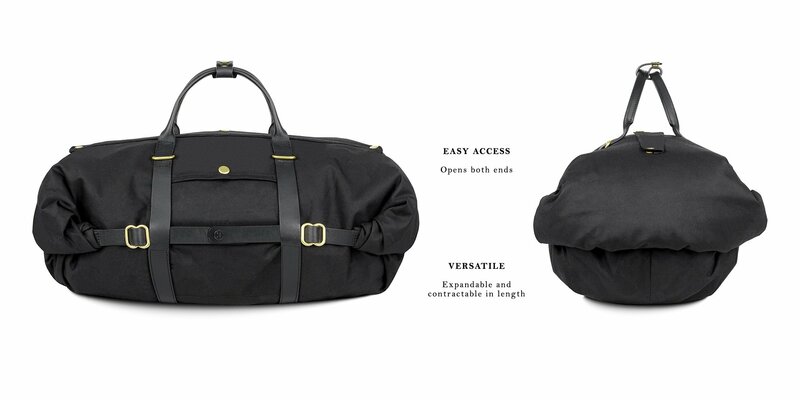 We've reinvented the iconic duffel, to become a shapeshifting expandable duffel bag. 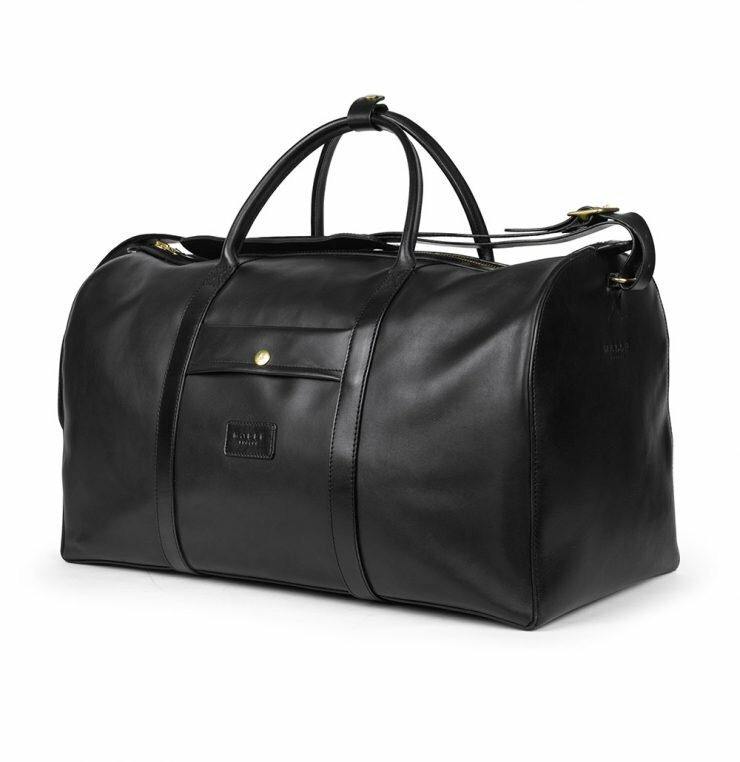 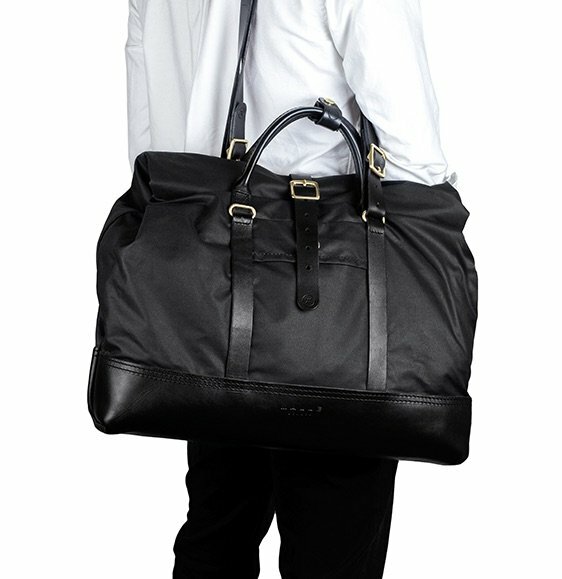 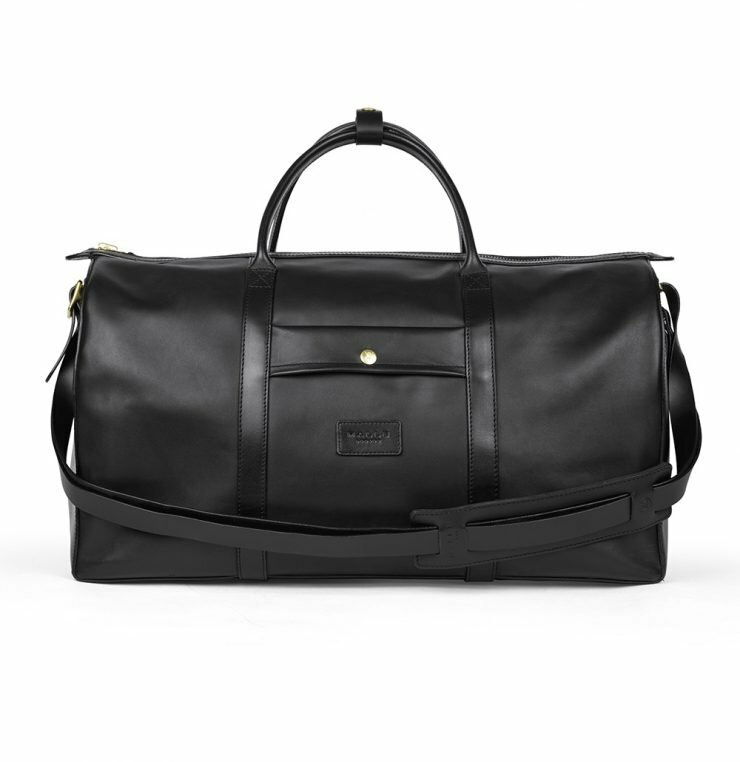 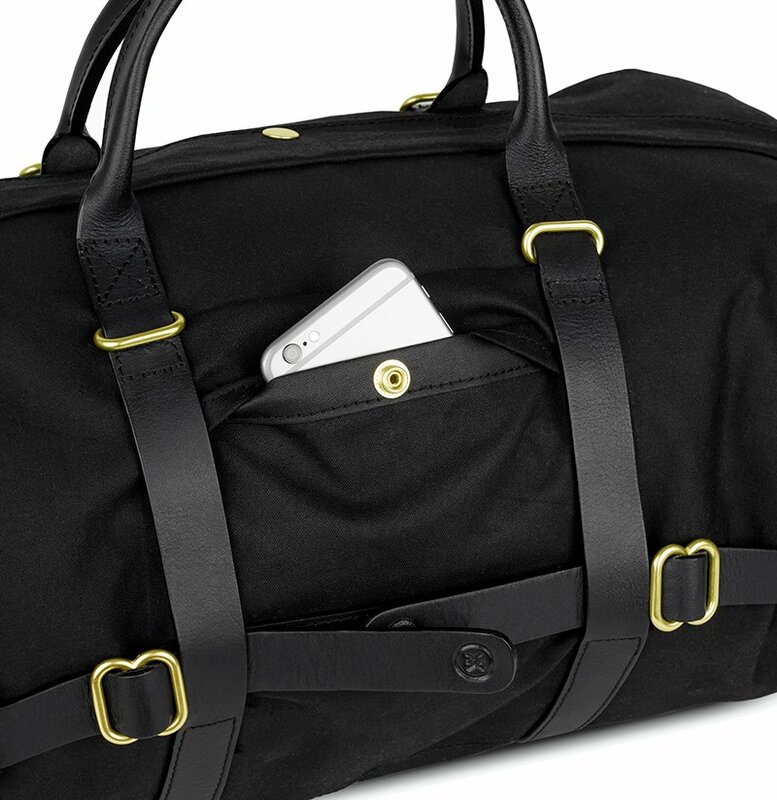 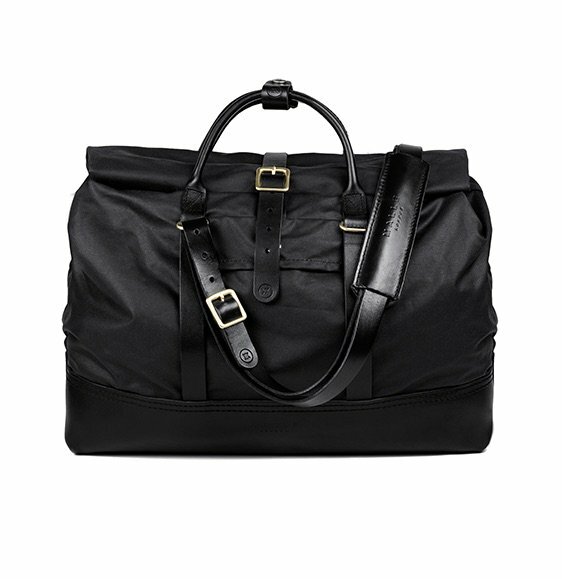 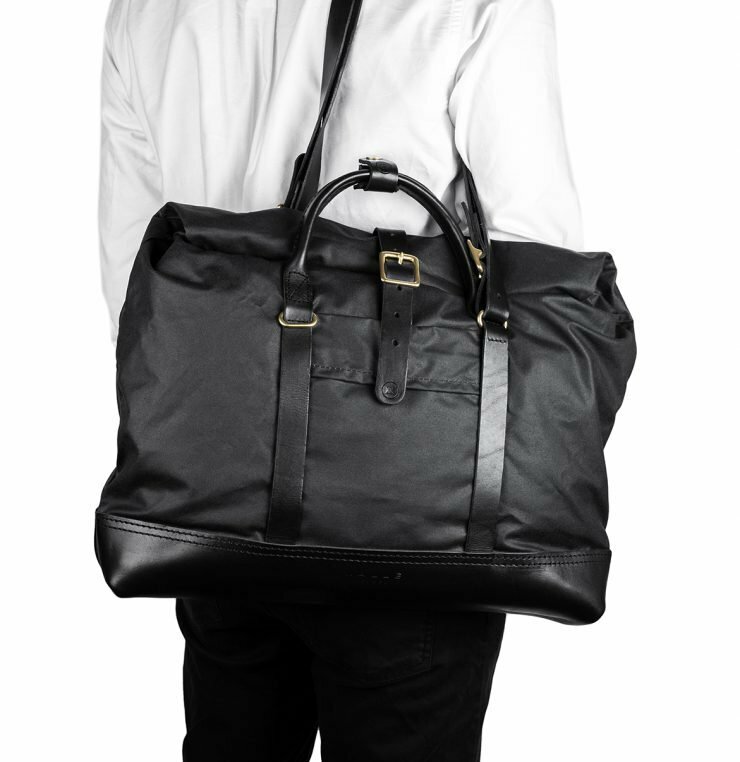 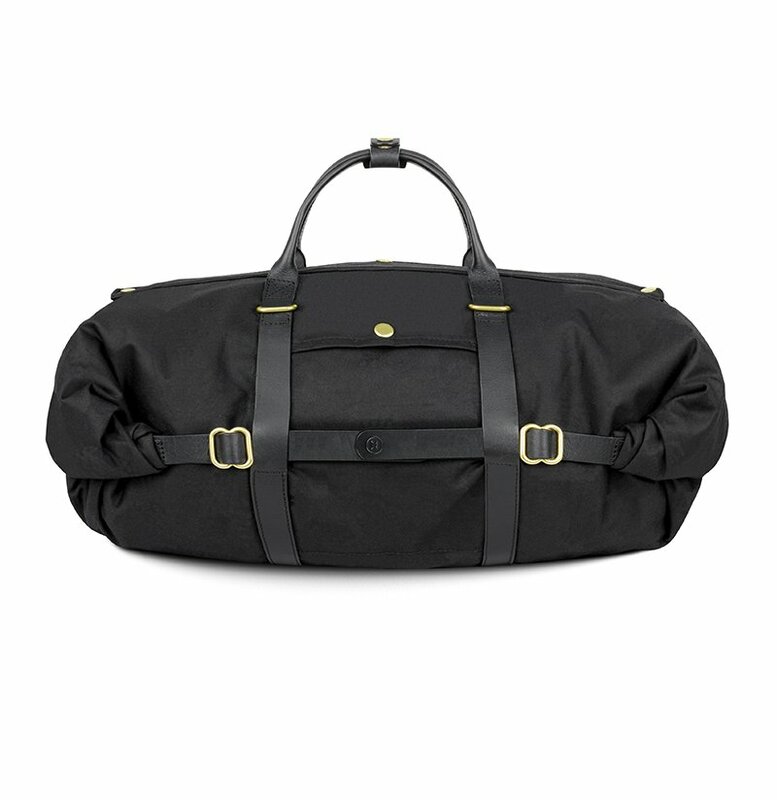 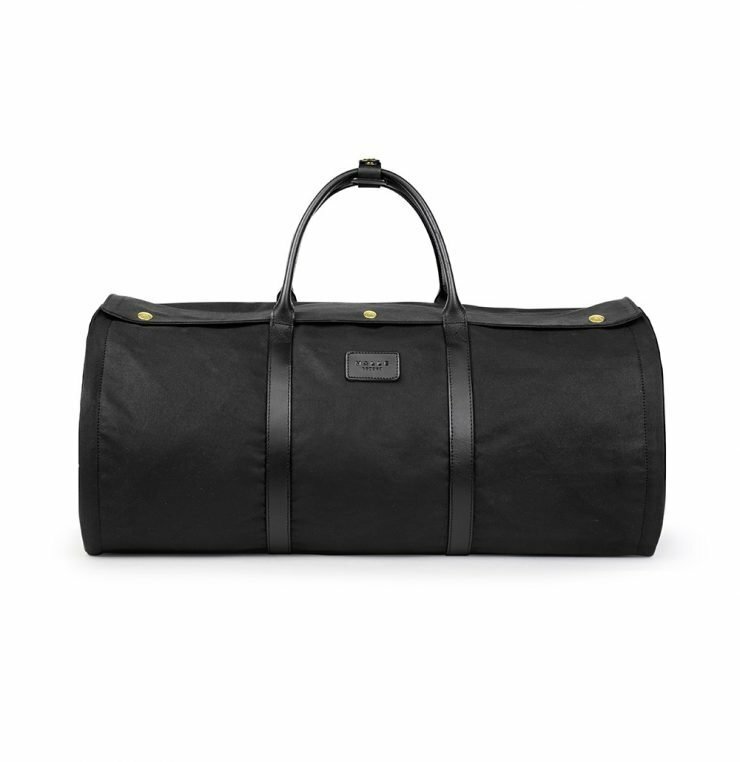 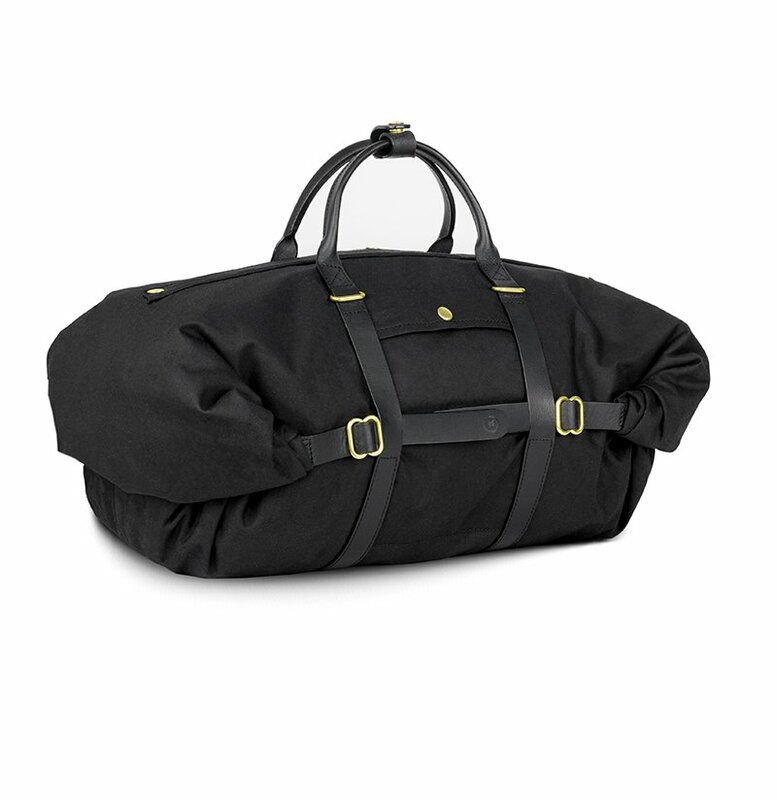 The Vincent Duffel expands and contracts in length, so you’ll always have room for whatever you’re carrying with you. 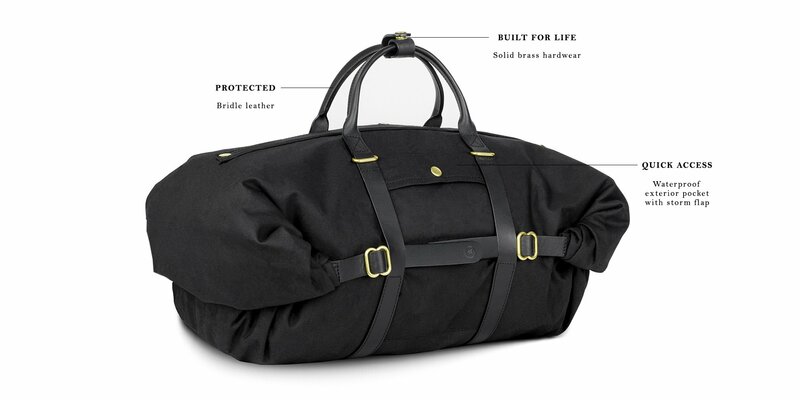 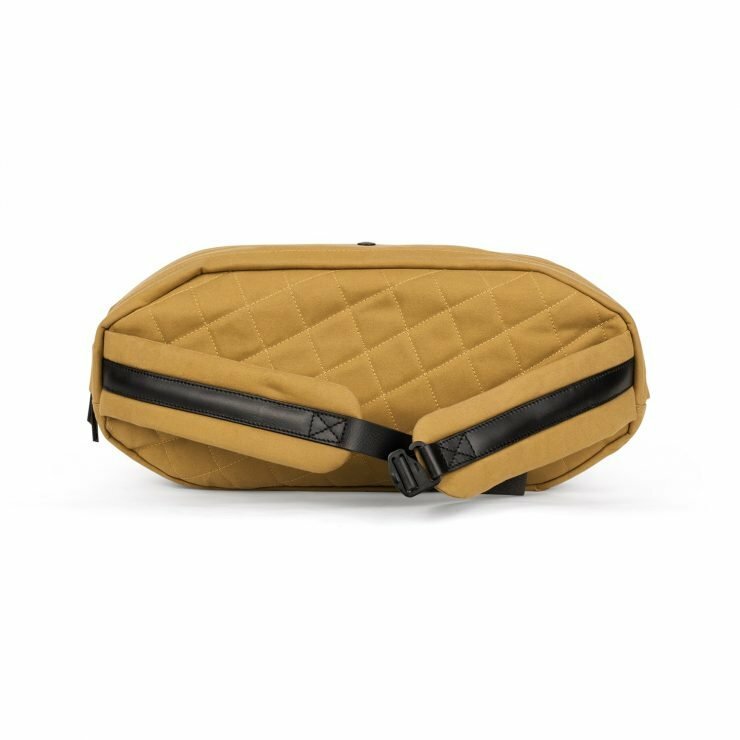 The design is based on three innovative design features; the duffel rolls closed at both ends so you can access the interior from either side and with the large zippered opening on the top (with storm flap). 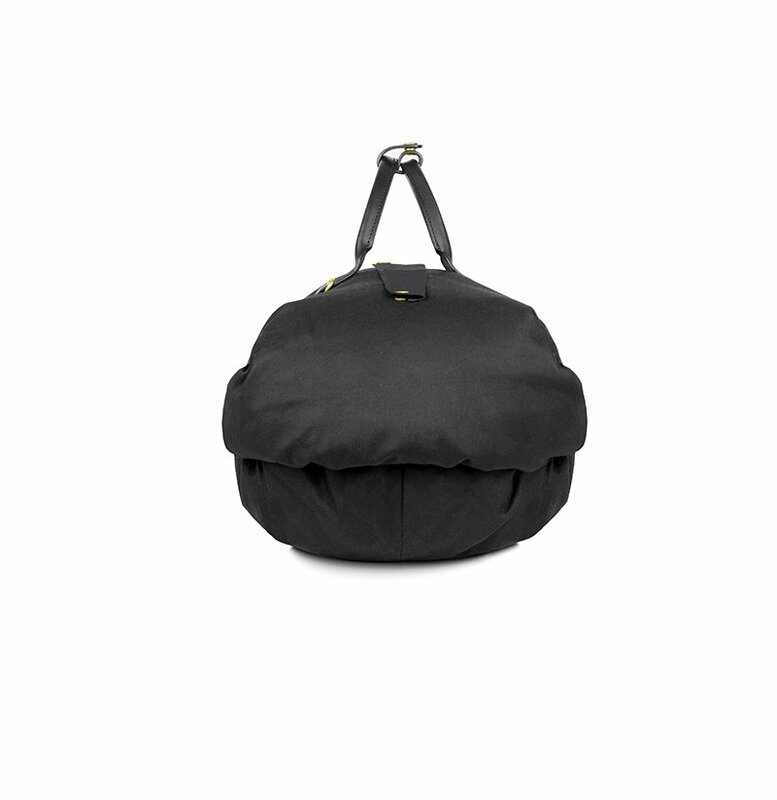 The bag expands and contracts changing the overall storage capacity. 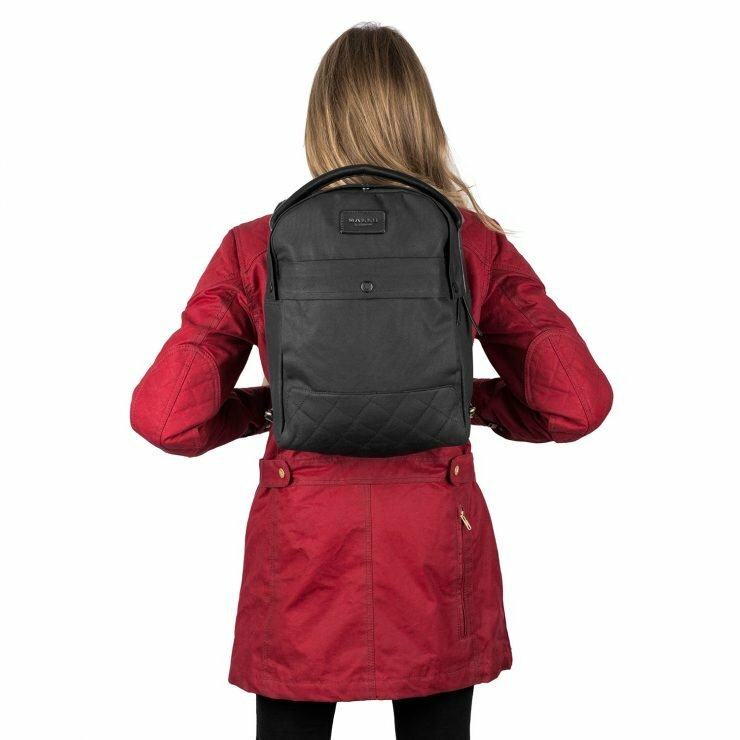 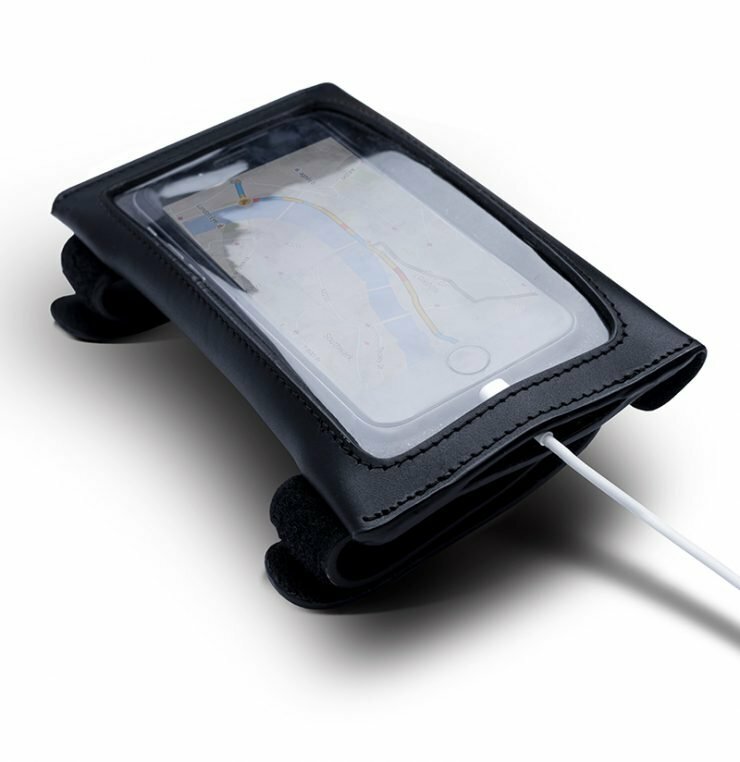 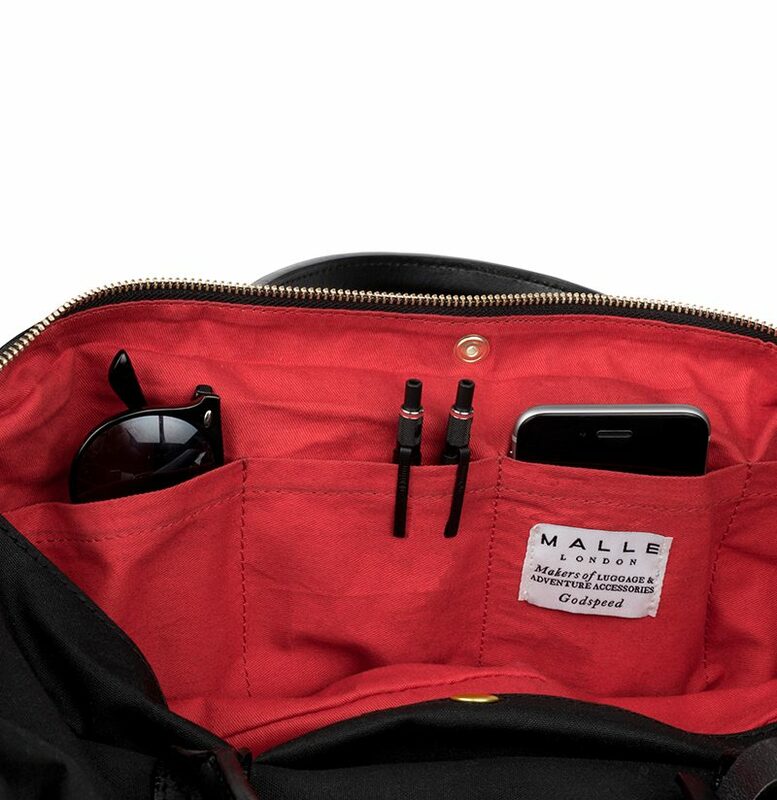 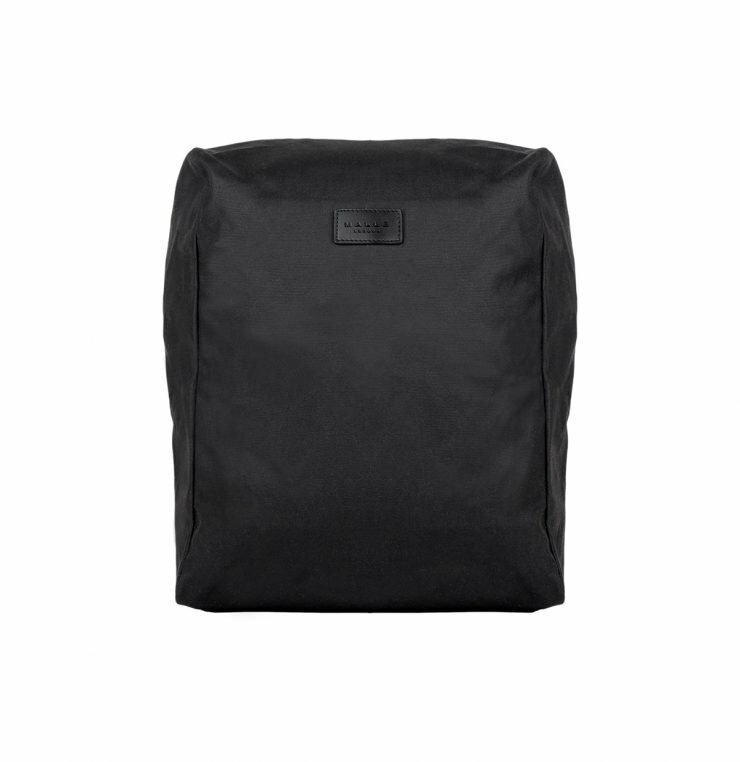 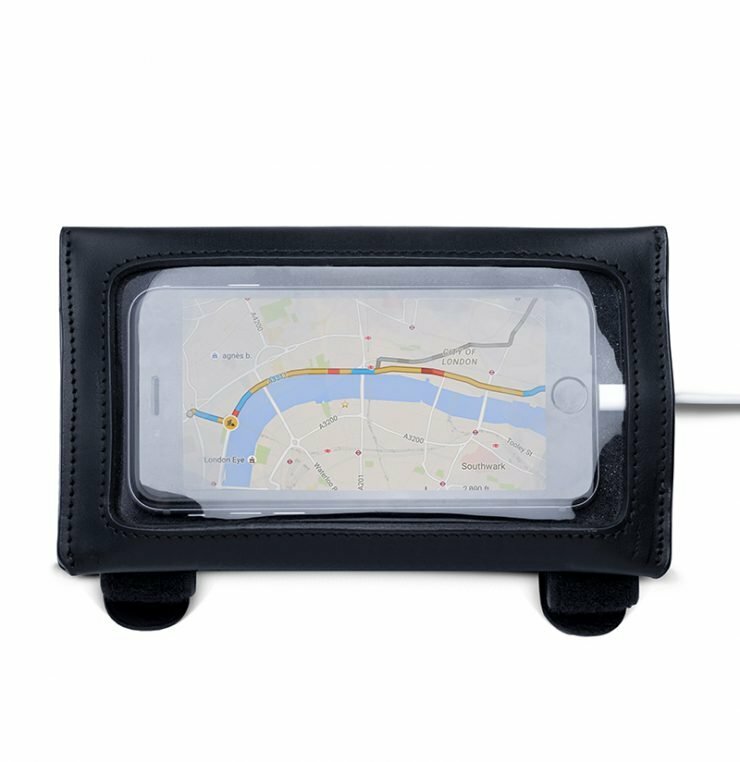 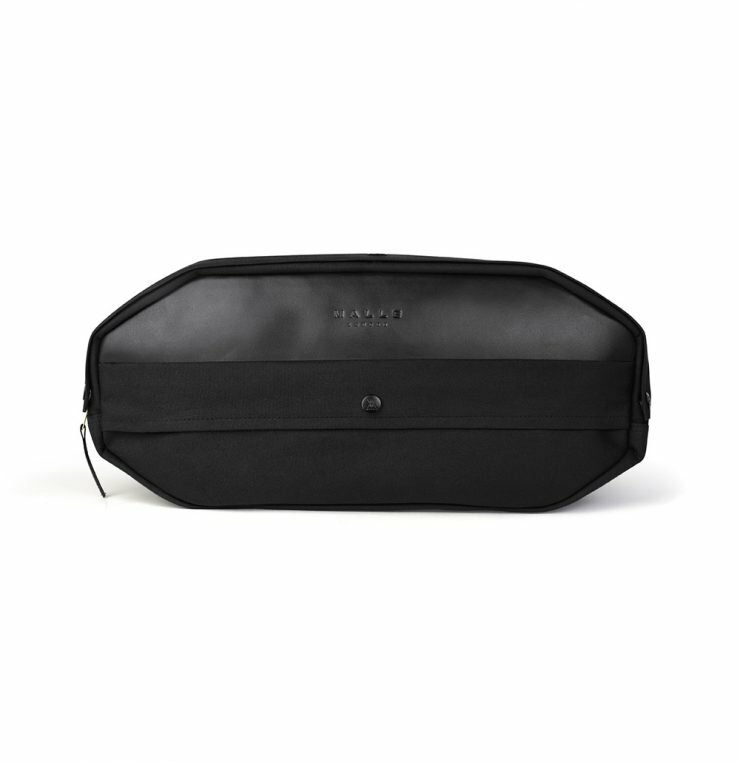 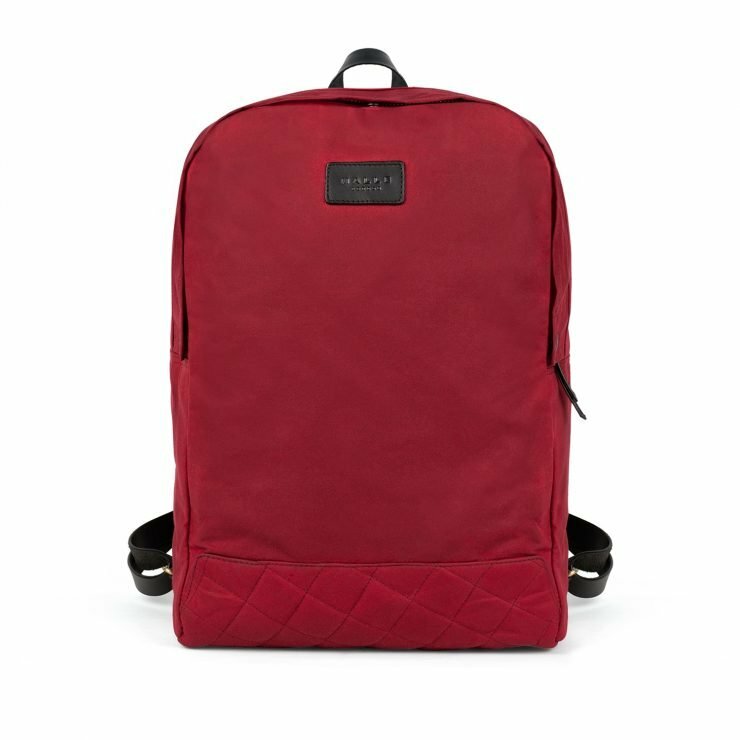 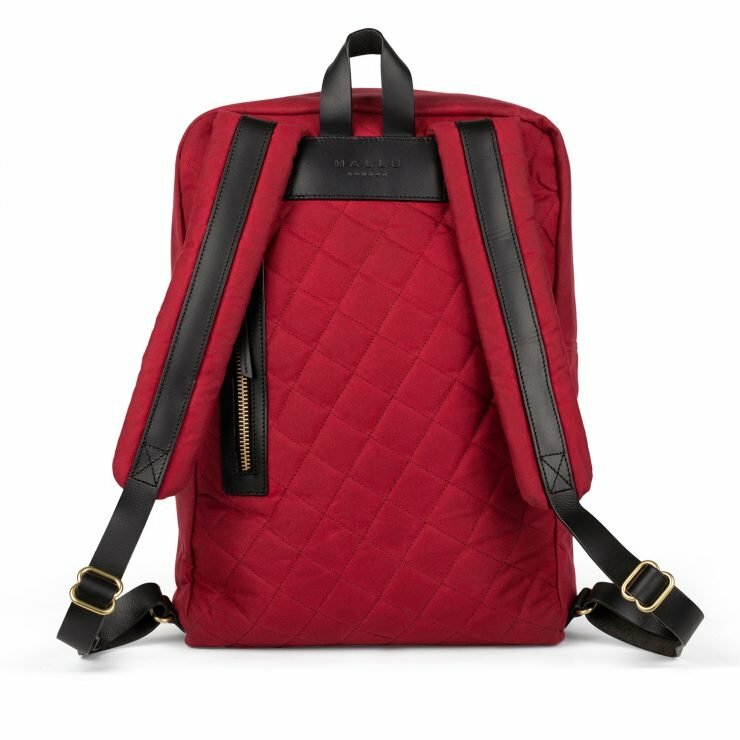 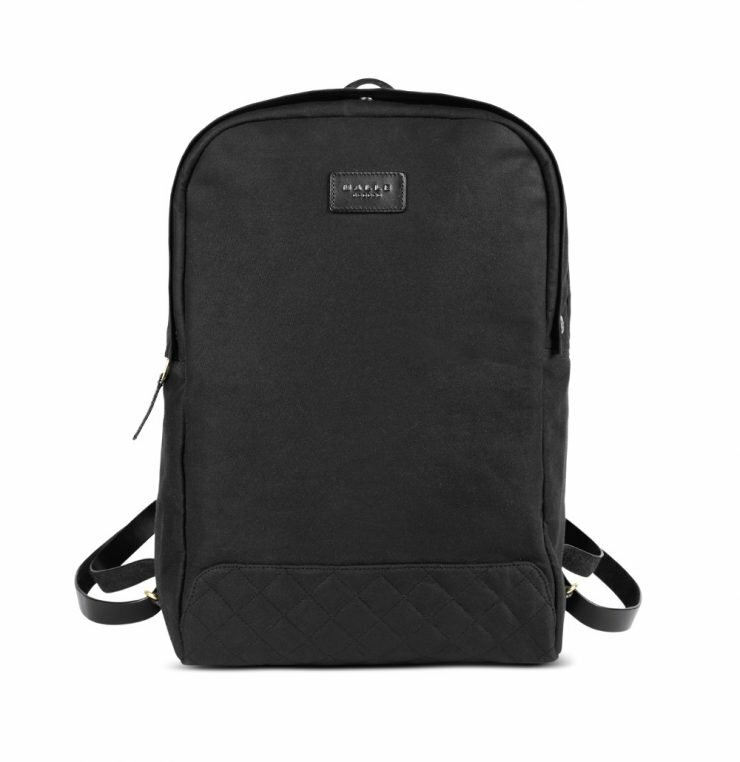 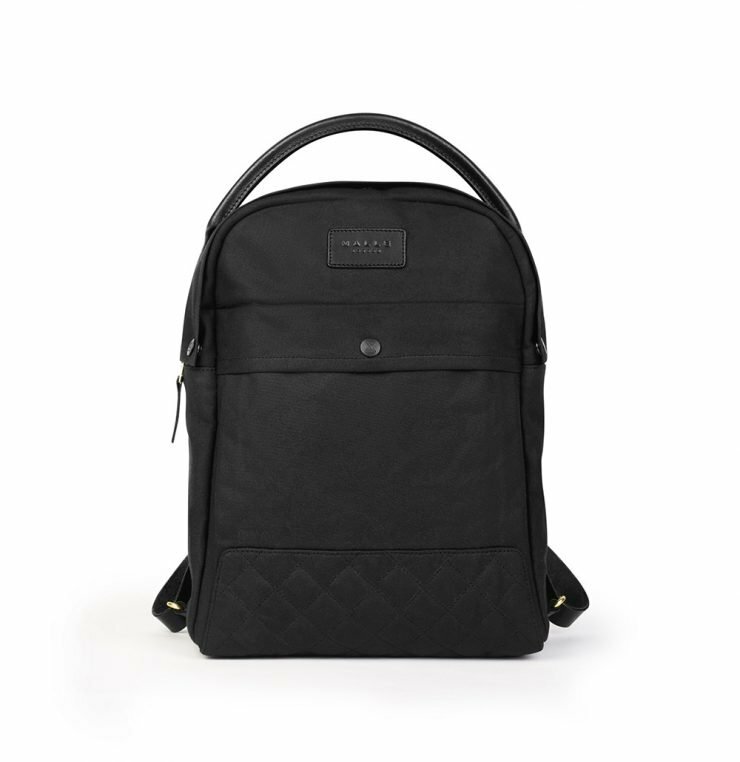 The bag is fully waterproof, with an exterior pocket. 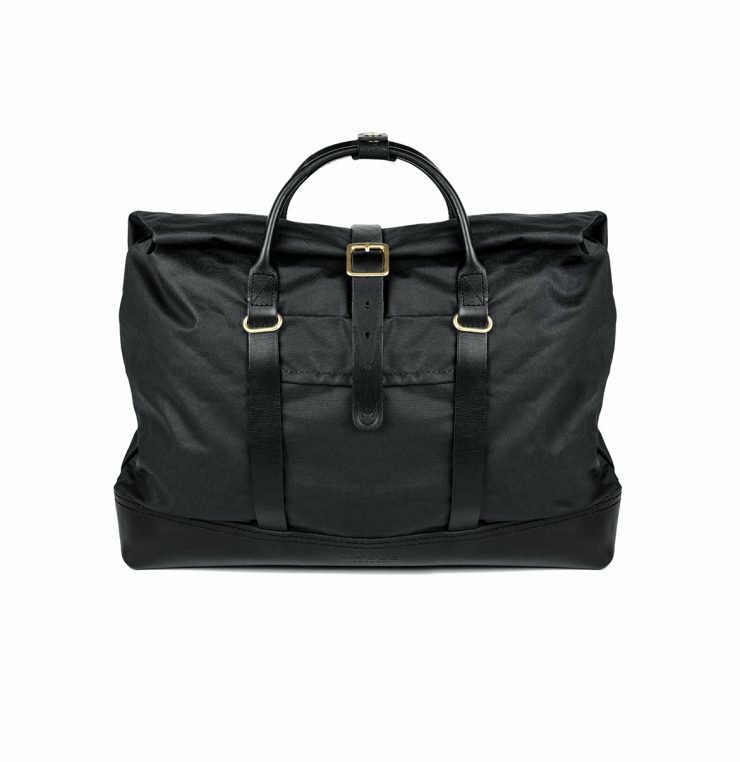 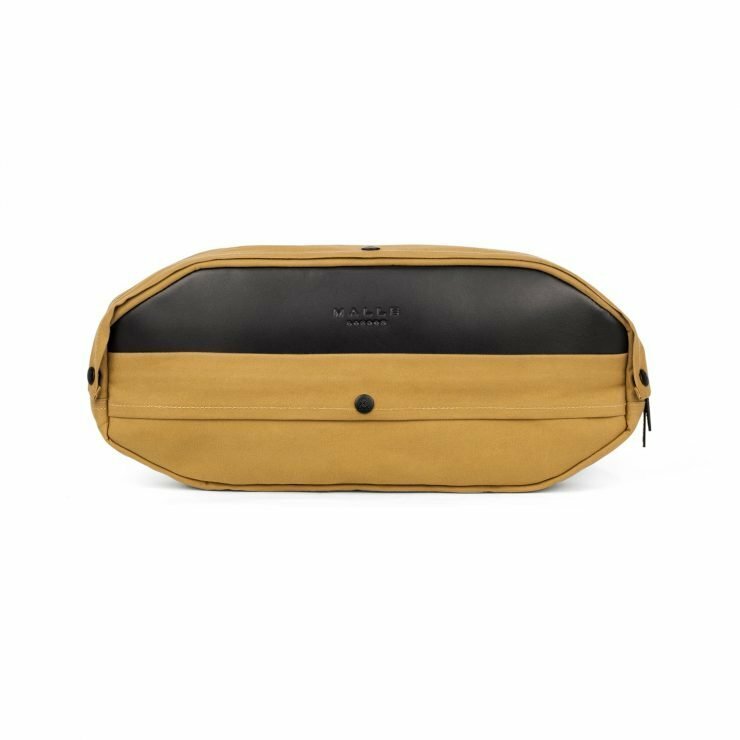 Made from our signature British black water-proof waxed cotton, bridle leather, solid brass hardware and lined with our red organic cotton. 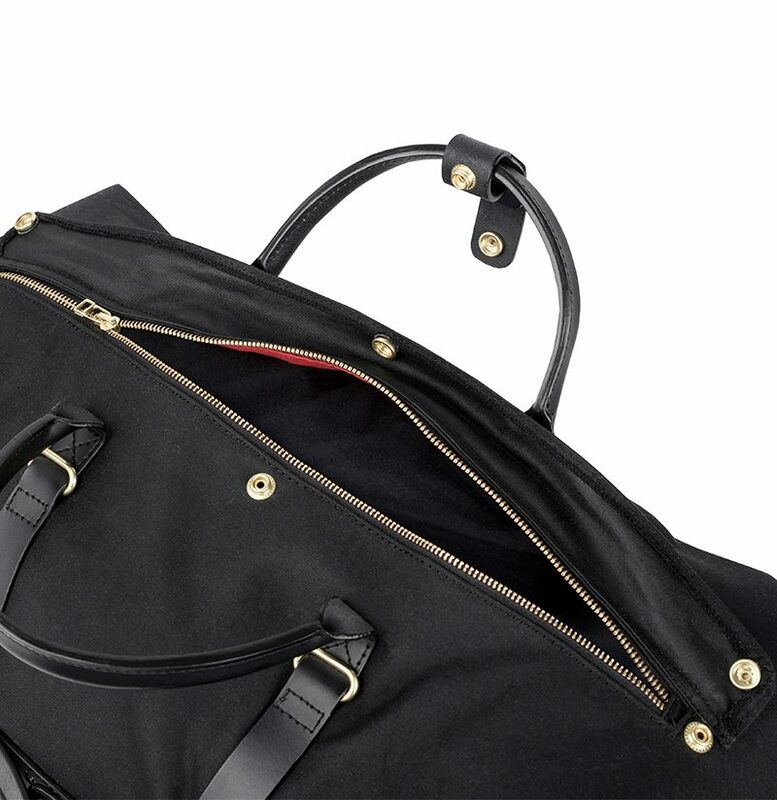 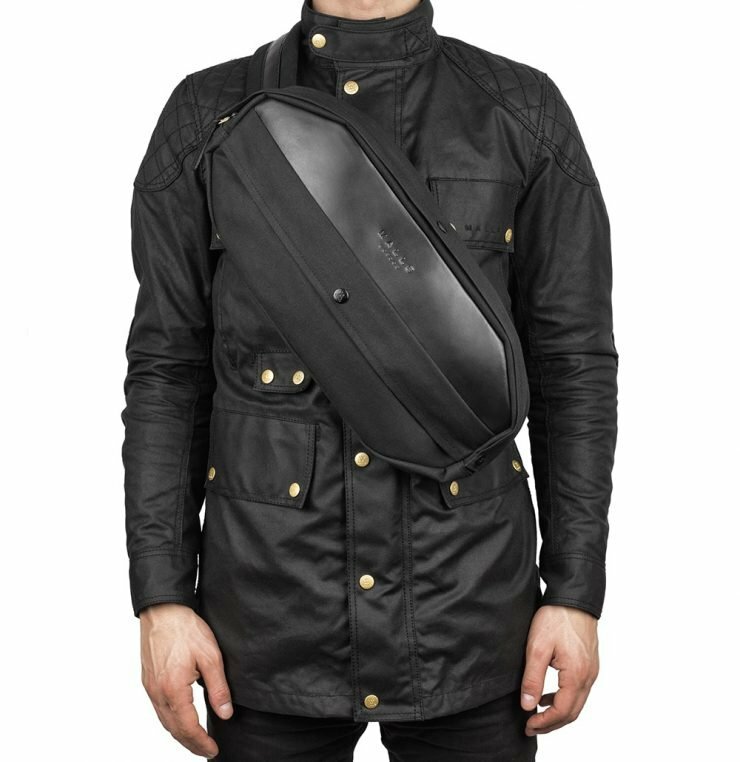 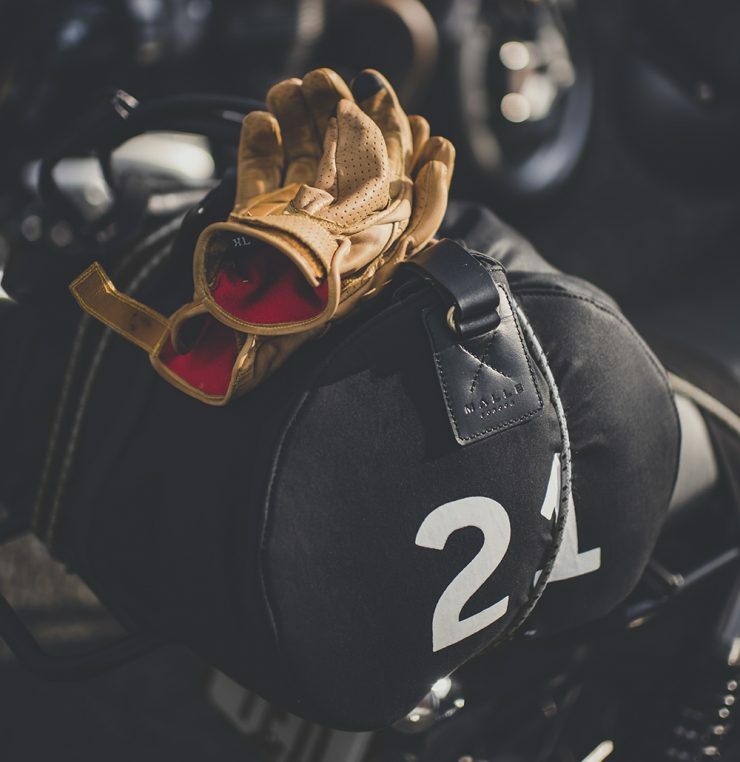 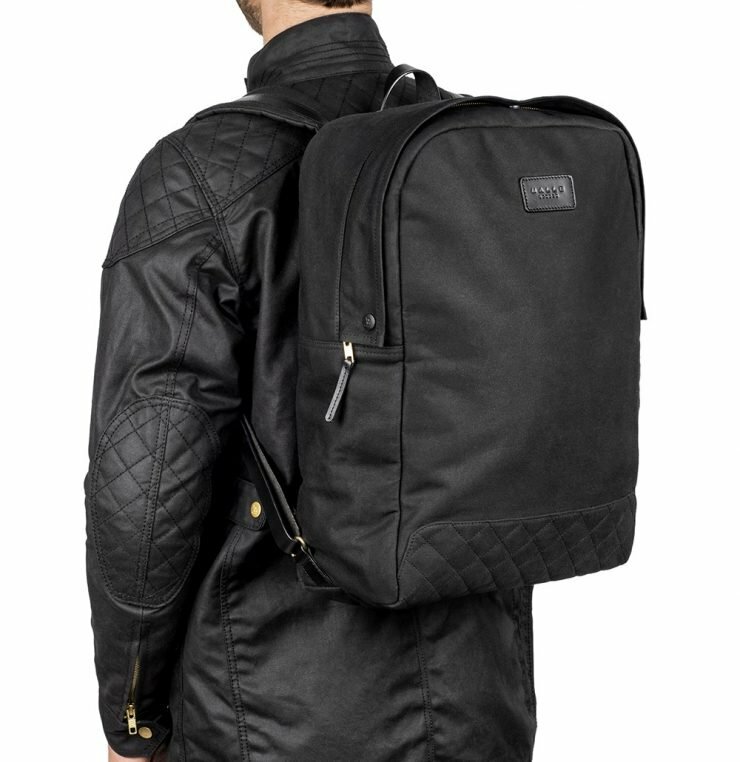 The Vincent Duffel comes with an adjustable leather shoulder strap and two straps, to attach it to a motorcycle seat, sports car luggage rack or on the top of our 4x4 when traveling. 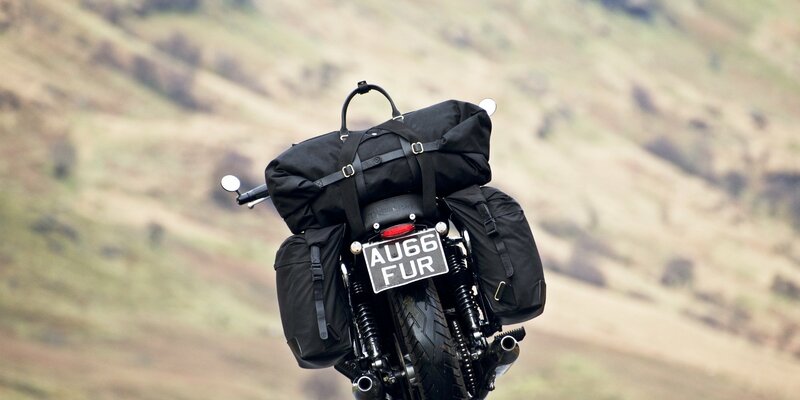 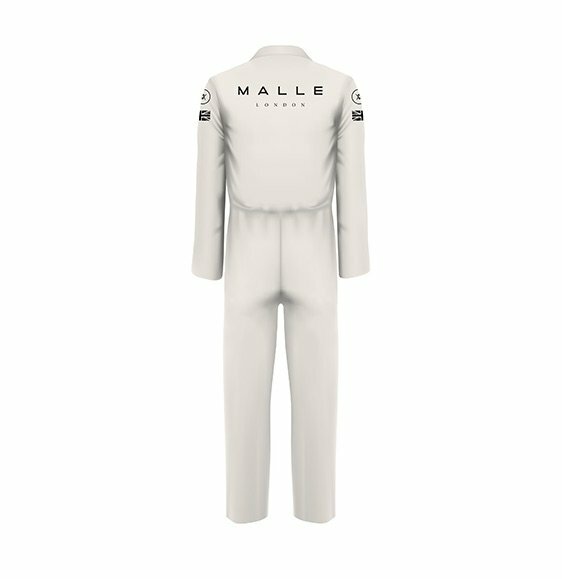 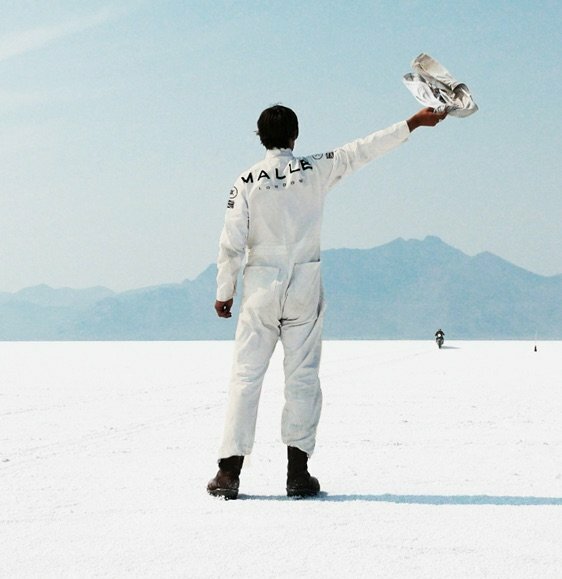 Categories: All, Auto, Bags, Expedition, Holdalls, Moto, The Great Mile Kit, wanted.